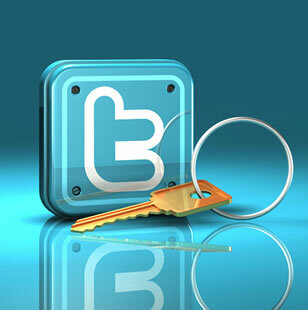 Twitter has warned an unknown number of users that hackers have potentially compromised their accounts. Spam-like tweets seem to be originating from at least some affected users, including TechCrunch's own Twitter account. "Make $250 A Day From Home", one tweet said. In addition to sending out individual emails, Twitter has also posted a status update noting the issue. For users who Twitter believes were affected, the website will prompt those individuals to reset their password during their next visit. Even if you aren't asked to, it's probably a wise precaution to change your Twitter password anyhow -- you can never be too certain. Although the popular micro-blogging site hasn't ponied up details regarding the nature of its latest security breach, it was just last month we reported a supposed vulnerability which could allow determined hackers to commandeer a Twitter account through methods of brute force. Whether or not there is a connection between this vulnerability and today's security breach though, is merely speculation. Passwords may have also been compromised through third-party software or even social engineering, so Twitter's security may not be totally to blame. Although Twitter believes it has identified the affected accounts and promptly issued password resets to said users, there was one snag though. During the process, Twitter unintentionally reset the passwords of a much larger number of accounts -- beyond those that were actually affected. In other words, while Twitter reset the passwords of every hacked account, they also accidentally reset the passwords of many others who were otherwise unaffected. The company apologized for the mistake and asks users to visit Keeping Your Account Secure.